Free Zone9 Tumblr collage. Images used with permission. 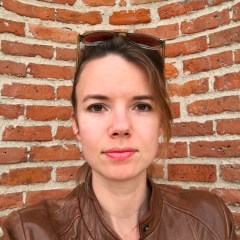 The Global Voices community and our network of allies are demanding justice for these men and women, all of whom have worked hard to expand spaces for social and political commentary in Ethiopia through blogging and journalism. We believe their arrest is a violation of their universal right to free expression, and that the charges filed against them are unjust. Learn more about their story and the campaign for their release at the Zone9 Trial Tracker blog. The bloggers’ trial begins on August 4, 2014. Until then, and beyond, they will need all the support they can get. So this Thursday, we as a global community of bloggers, writers, activists, and social media experts will share this message around the world, tweeting in our native languages at community leaders, government and diplomatic officials, and mainstream media to draw public attention to the case. Time: 10am – 2pm — no matter what time zone you're in! Want to join us this Thursday? Or help spread the word? Add your name and Twitter handle to our community planning sheet. 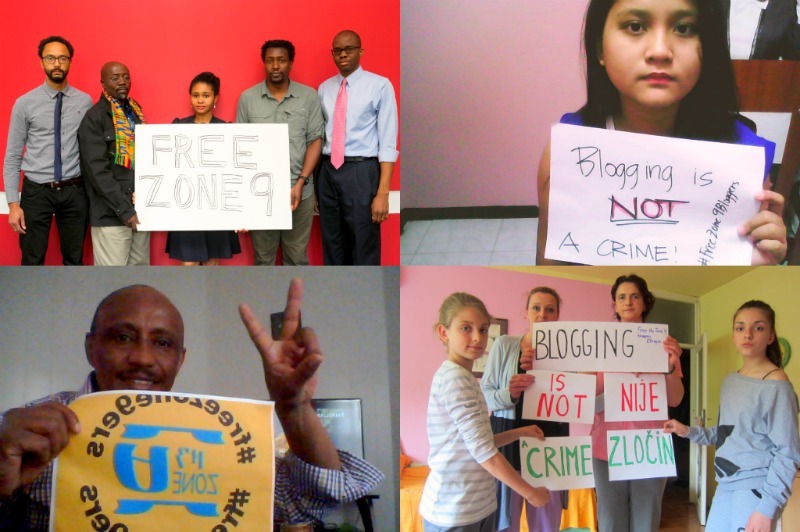 Tweet until your fingers hurt and demand justice for the Zone9 bloggers! Ethiopia government is known as state terrorist. They terrorize Ethiopia people. The ruling party is group of mafia minority tigrai hegemony regime must go hell. Pingback: Ethiopia: PM Hailemariam Desalegn’s Distraction?